I'm trying to remember exactly how it went down. She had made me a fine Sunday breakfast, with the new nitrate free bacon that had the flavor of paper but was a tad thinner. 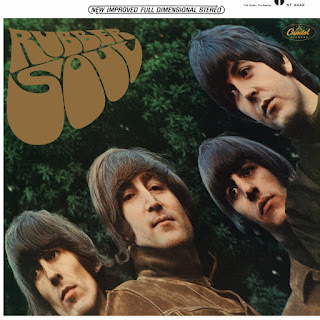 It is my job to put on music before our meals and I was in the mood for Beatles so I elected to play Rubber Soul, a personal favorite. Things had been chippy all morning as is occasionally the case when two alphas live under the same roof, in our case for twenty eight years. See this article for more on the specific dynamic. In any case, we were trying to reset the morning before we left on a little jaunt that would require us to be in each other's direct company for the next 36 hours, not that anyone's counting. Rather than read I decided to try my hand at conversing. "Did you ever notice how Ringo's songs can be such a buzz kill?" I offered. "No I haven't. Why must you be so critical about everything? Is anything alright here?" "Congratulations" she said. "You can finally flare your nostrils." Bewildered, I said, "I've always been able to flare my nostrils." "Yes," she said. "But normally you do it with one of your fingers. This is new. It's like you took the training wheels off. Congrats." All I can say: Leslie is a trooper! Good luck to All! Are nostrils flaring anything like when a rooster flares his neck feathers? It is pretty amazing to pick up nostril flaring so late in the game. Congratulations on that, and as for the other, perhaps a consultation with a good budtender might be helpful? HarmonyxSamadhi? Might I suggest an interlude of classical music to soothe the marital waters. Perhaps the "Duet for Tuba and Xylophone" by Boris Shittyman. Leslie is hilarious. Best laugh of my day.